Jawatankuasa Pelaburan Dana Awam (JKPDA) is a specialised secretariat to drive the restructuring and strengthening of public innovation funding mechanism for research and development, commercialisation and innovation (R,D,C&I), operates under the Agensi Inovasi Malaysia (AIM) Governance Council and driven by a co-secretariat partnership between AIM and MOSTI. To strengthen Malaysia’s innovation eco-system by churning out world-class R,D,C&I output via the establishment of the country’s first Facilitation, Monitoring and Evaluation mechanism in order to achieve the vision 2020 and beyond aspiration. To instill Ministerial and Agencies collaborative efforts and initiatives for wealth creation from R,D,C&I activities and strengthening AIM’s quadruple helix initiatives. To advise the country’s R,D,C&I stakeholders and to promote R,D,C&I performance through the facilitation, disbursement, monitoring and evaluation of public innovation funding to Ministries and Government Agencies programs and projects. 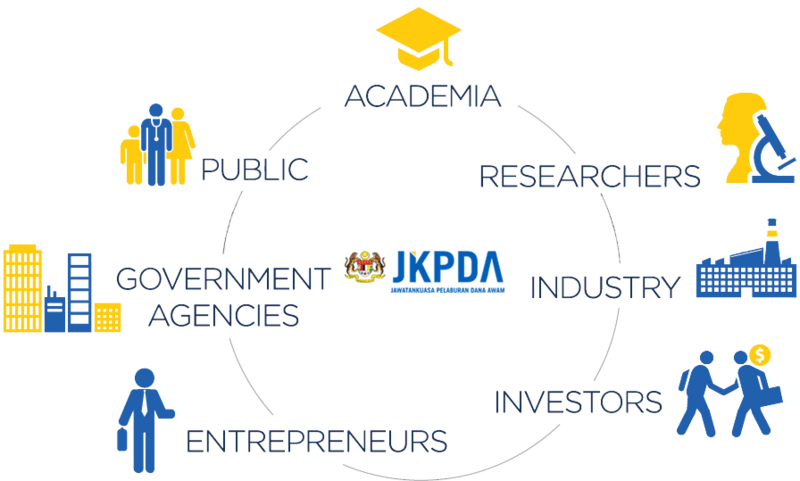 To encourage the general public, academia, researchers, investors, industries, entrepreneurs, government agencies in producing world-class research output and excellence; inline with the market and future driven requirements in order to prosper wealth creation, return on investments, economic and social impact to Malaysia. To position Malaysia as a world-class research output hub via monitoring and evaluation (M&E) facilitation. Pre-R&D activities refer to project based activities specifically executed to prepare for R&D either in the forms of idea generation or R&D preparation. For example, commercial viability study can be performed prior to R&D efforts are carried out. However, day-to-day operational activities, even though meant for R&D preparation, are not covered under pre-R&D budget. Purchasing of consumables or items required by R&D&C such as licensing, royalty, etc. Pre-commercialisation refers to project-based activities to prepare for the commercialisation of R&D outputs or innovations. For example, product development, pilot production, incubation and market study. Pre-commercialisation does not necessarily come out of R&D. It might be possible for pre-commercialisation to come from existing innovations. Commercialisation can be the results of R&D or existing innovations. For example, with some adjustment and tweaking, an existing innovation can be mass-produced and commercialised. It can be in various forms not necessarily product such as services, processes or solutions. Commercialisation can be executed by way of licensing, assignment, spin-off or joint ventures. Sustainable exploitation of Malaysian biodiversity to address issues identified or anticipated. Development of national autonomous and secure systems to reduce the dependency on foreign for systems of strategic importance. Welcome to Malaysia’s Innovation Eco System centralized platform for Government, Industry, Academia, Entrepreneur and the people to connect. 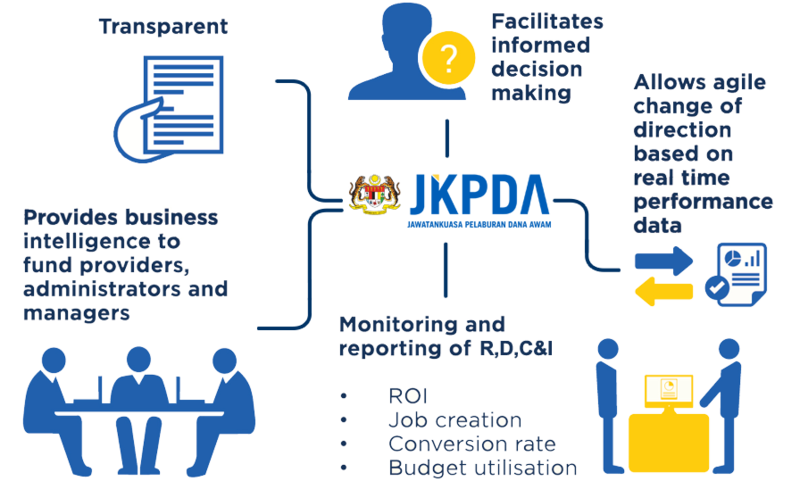 As part of Jawatankuasa Pelaburan Dana Awam (JKPDA) Malaysia public policy initiatives, a platform named JKPDA is designed, developed and deployed as a National Enterprise Database Tracking Platform for public funded projects and programs related to research and development, commercialisation and innovation (R,D,C&I) eco system. 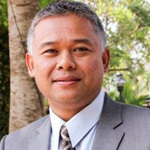 It is driven by rich data analytics and business intelligence to provide meaningful information for investments interests, research and development strategic growth, business process optimisation, landscape information benefiting the public and most importantly the stakeholders engagement, strategic planning and the implementation of key decision making within the innovation landscape to support Malaysia’s emerging technology sectors. By disclosing landscape data analytics and business intelligence, this will enable JKPDA to facilitate the increase of efficiency and effectiveness of R,D,C&I programmes and projects output and outcome which brings economic and social impact to the country. 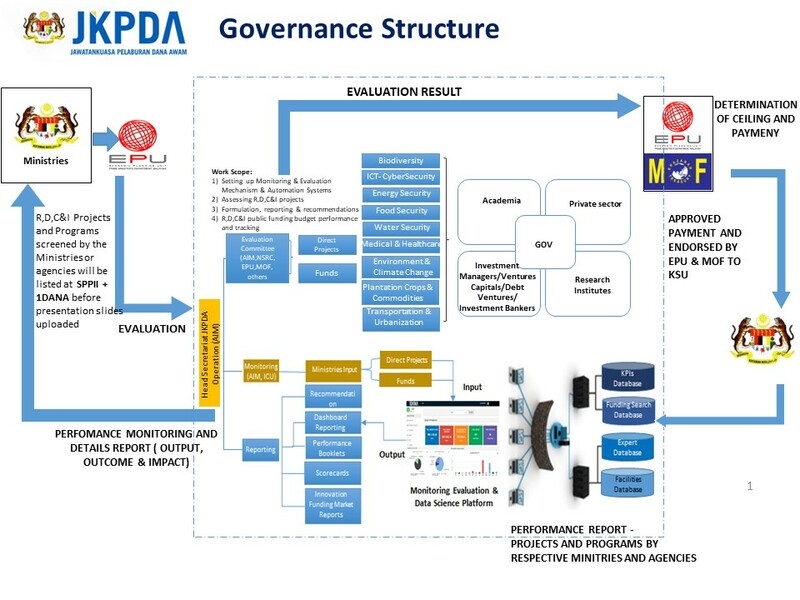 By monitoring the key performance indicators, addressing strategic issues and instill performance practices which have been formulated and adopted throughout all of the ministries and agencies , JKPDA is a crucial platform to monitor and evaluate the streamlining of R,D,C&I programmes and projects which used to be fragmented and has possible duplications. The key driver are to support clear strategies, governance framework, policies, processes and performance monitoring system. This platform helps to identify overlapping gaps, duplications, areas of improvements within the priority areas. By monitoring the innovation eco-system, this will assist the stakeholders to formulate forward innovation strategies for Malaysia. To increase efficiency and effectiveness of research, development, commercialisation and innovation (R,D,C&I) programmes and projects in the country, key performance indicators and strategic performance practices have been formulated and adopted throughout all of the ministries and agencies in R,D,C&I public funding as part of the government transformation programme. Hence Jawatan Kuasa Pelaburan Dana Awam (JKPDA) is mandated with streamlining R,D,C&I programmes and projects which used to be fragmented and has possible duplications. JKPDA has established clear strategies, governance framework, policies, processes and performance monitoring system. This process innovation involved in the creation of 1DANA.gov.my which acts as a platform for R, D,C &I performance monitoring and evaluation tool. This would also enables JKPDA to identify gaps, areas of improvements or even R,D,C&I priority areas. By monitoring the innovation eco-system, this will assist the stakeholders to formulate forward innovation strategies for Malaysia. Provides information regarding public funding programs and projects which are available. Stimulates take-up rates by local and international industries.